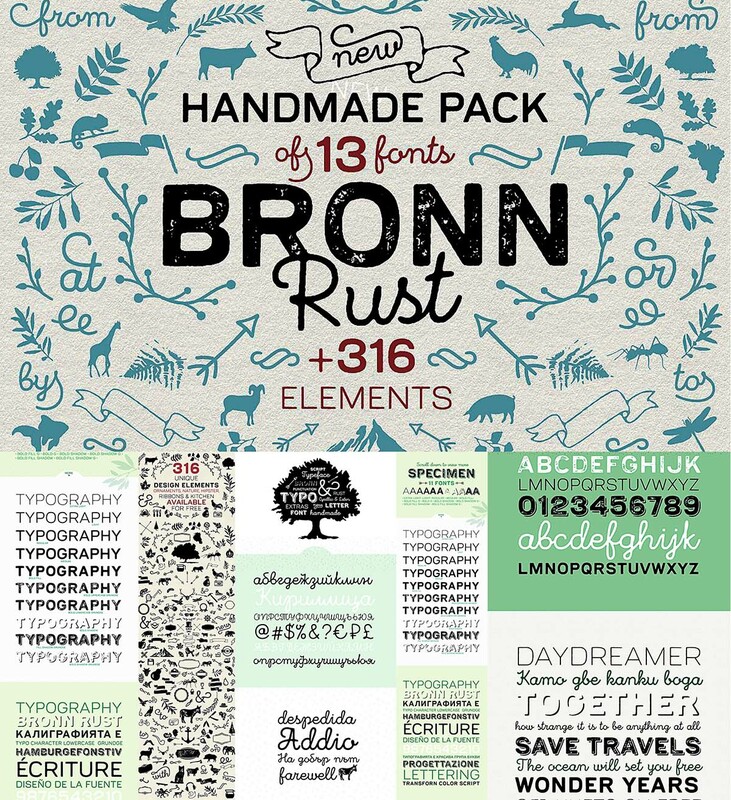 The package includes 22 weights with 3 sub-families – Bronn Rust, Bronn Script and Bronn Extras. The font family comes with both OTF and TTF files and is also available for web in the following font formats: WOFF, WOFF2, EOT, SVG. 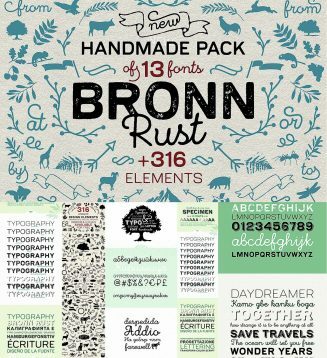 Bronn Rust is applicable for almost every design project – from advertising, packaging, editorial and branding, to web and screen projects. Tags: animal, banner, cyriillic, decorative, handmade font, icon, script, wild.